Going into webinar over-drive this week by also joining in the JISC event today which I thought was inspiring and thought-provoking. I saw a few familiar names from ocTEL there too! That will all have to wait though for the day-job to stop getting in the way! This is a staff and student network designed to support those currently working with students as change agents or support those wishing to move into this area. Funded by Jisc, the goal is to create a sustainable and supporting national community currently focusing on the digital aspects of change agents. 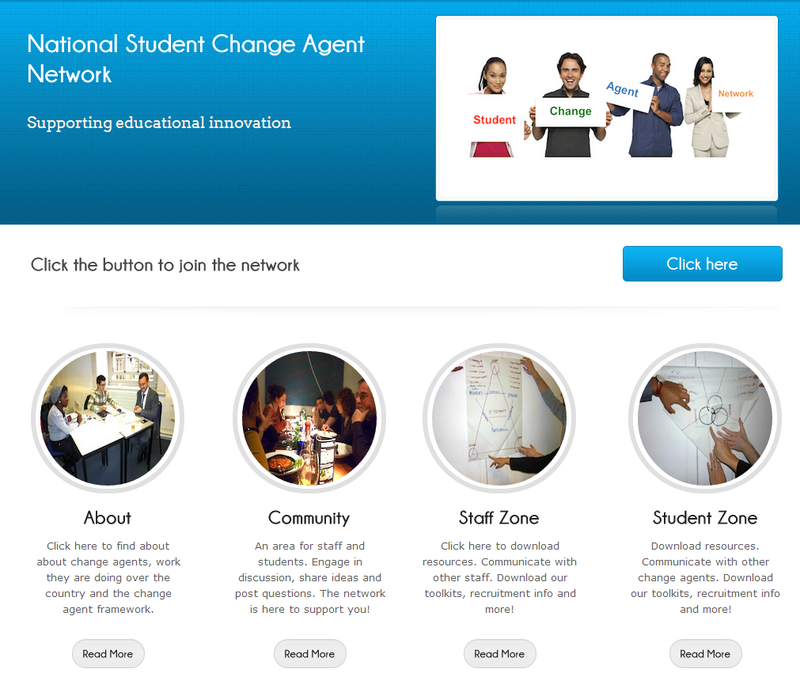 On this site you will find links to resources, national projects involving students as well as hints and tips for successfully delivering sustainable change. Importantly, join the forums! Lots of options to talk and share ideas, promote your work as well as get ideas to solve problems. This is your network, we are excited to see how it grows. detail and may anticipate problems just before they will happen.